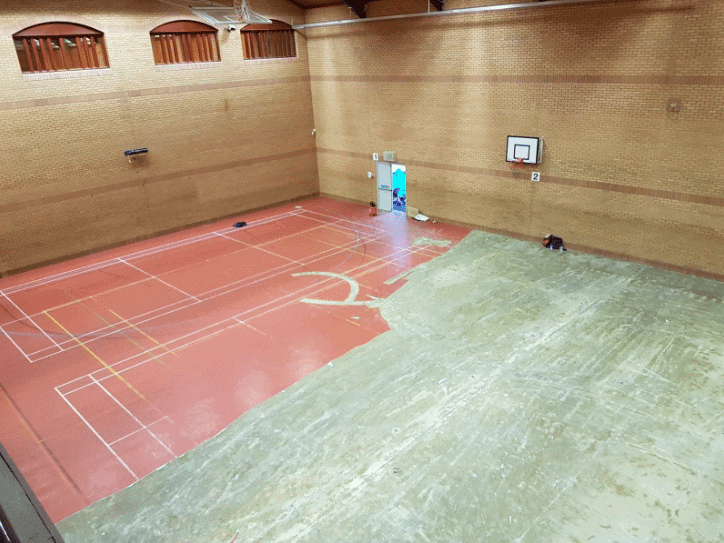 We were contacted by Operations Manager Leighton Morgan from Brecon Leisure Centre about his ageing sports hall surface. He had a sports vinyl surface which was 20 years old, and although it had served the leisure centre well it was time for a change. We were asked to specify various options for a completely new sports surface that would fulfill the following criteria; be a multi-use floor (not just for sport), be durable and easy to clean. 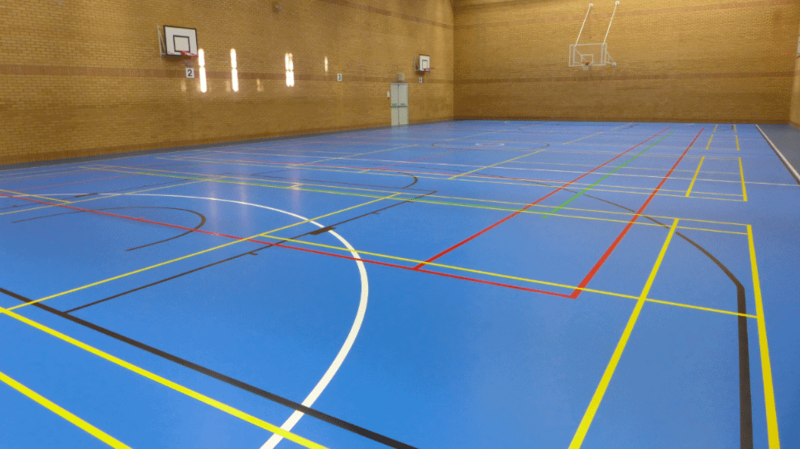 Leighton chose a seamless Polyurethane 7 + 2 system in 2 colours which complies with the EN 14904 standard for sports floors. A 2 week window was allocated over the Christmas period to complete the project but 12 inches of snow caused us a few issues! Nevertheless we ‘ploughed’ on and uplifted the old vinyl sports surface. We revealed the sub floor which was in good condition and we screeded the 600m2 area with no issues. After the sub floor had been prepared, the new polyurethane floor was then installed and line marked. The new lines we installed were badminton, netball, basketball, volleyball and tennis. Welsh Badminton and Welsh Netball had requested specific colours. The final stage of the installation was to install sockets for the game posts. 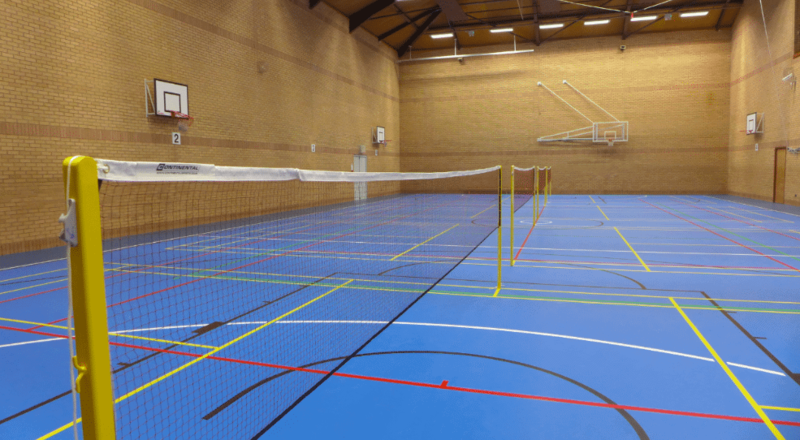 The floor was core-drilled and we installed Continental Sports Badminton World Federation approved sockets along with fixings for tennis and volleyball. We finished the project with door thresholds, gave the floor a good clean and handed the area back over to the client (on time and on budget).